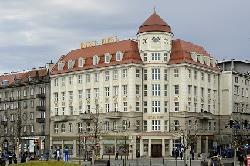 The Piast Hotel, known before the war as the Kronprinz Hotel, regained its former splendour after the 2014 reconstruction. It was built in 1908 and designed by Waldemar Milbradt, and was the most elegant hotel in the city, with a distinctive, semi-circular tower, where the most elegant rooms with large windows are located today. Together with the adjoining Grand Hotel (formerly Nord), it was a historical "town gate", through which ran the shortest route from the train station to the historic centre. 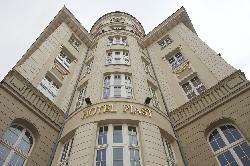 Hostilities spared the hotel,which – after its adaptation and receiving a new name, "PIAST" – began accommodating guests, who arrived in large numbers thanks to the close proximity of the railway station. Until the end of the 1990s, the Hotel was owned by the Odra Tourist company. 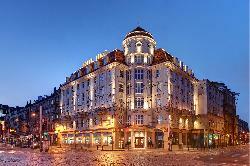 Today, the Piast Hotel and the adjacent European Hotel and Polonia Hotel are managed by Cohm Sp. z o.o. 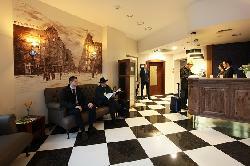 By the end of July 2013, the Piast Hotel operated as a Travel Lodge, offering 184 beds in dormitory rooms. 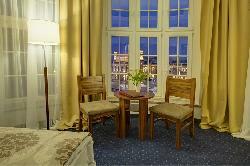 In 2014, the Piast Travel Lodge underwent a thorough renovation, which brought back the splendour and former magnificence to the listed building. 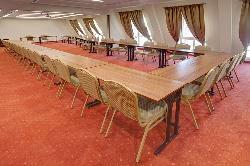 Today, combining tradition and modernity, it offers 92 air-conditioned rooms, a bistro and 2 meeting rooms. The hotel has its own parking lot next to ul. Piłsudzkiego and is located 100 meters from our hotel. 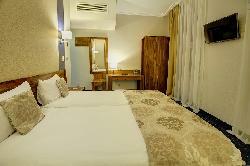 Each room is equipped with one queen size or two comfortable twin beds, LCD TV Set, a writing desk and a bathroom with shower. Classic decor of the room provides a pleasant holiday and makes that you would like to return to our hotel.The room is intended for one or two persons. In the restaurant "Bistro Station" invite you to a variety of dishes and snacks in the self-service formula - if you apply yourself to the plate - eat enough. Pasta, salads, vegetables, fish, meat and vegetarian dishes, prepared with the best, fresh and genuine products. hot and cold drinks, cocktails, beer and house wine selected species. Piast Hotel guests can also enjoy the renowned café "European" and the restaurant "Galicia", associated with our hotel and located on the same street. 07.00 am - 10.00 am we serve a nutritious breakfast buffet each morning. From 11.00 you can enjoy our Bistro. We offer 55 seats. We are willing to implement it for your special events.